Window Film for Winter and Summer. Dual season energy savings! The Complete Kit includes pre-cut window film for ALL windows on the Nissan Skyline except the windshield. 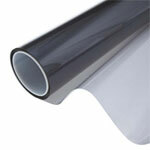 The Back Tint Kit includes pre-cut window film for ALL windows except the front side windows. It includes all windows from the back side windows to the rear windshield. The Front Tint Kit includes pre-cut window film for both of the front side windows on the Nissan Skyline. The Rear Windshield Kit includes pre-cut window film for only the rear windshield of the Nissan Skyline. SnapTint Window Tint Kits are made with top quality window film from leading US window film manufacturers. Our automotive and home window tinting kits are made with the DIY (Do-it-yourself) types in mind. They contain detailed installation instructions and are straighforward projects that can be installed in a single afternoon. SnapTint products are backed by a Lifetime Replacement Warranty never to turn purple, fade, bubble, or peel.